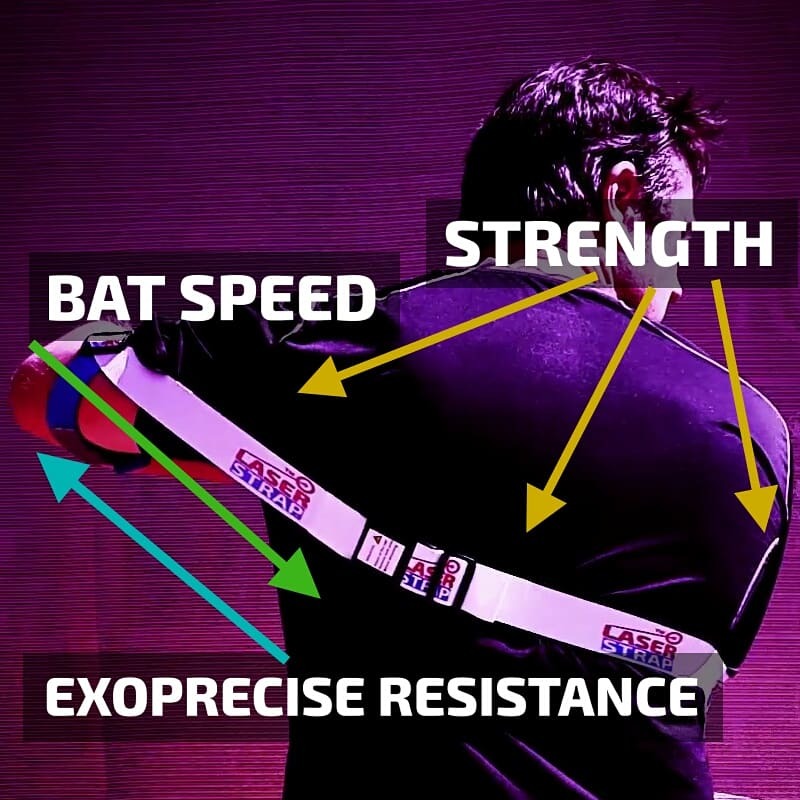 Everyone knows, ordinary, overload drills trigger a long swing, slowing bat speed, in case, you’re in the dark; the extra weight on your extremities generates force, pulling the arms away from your body. 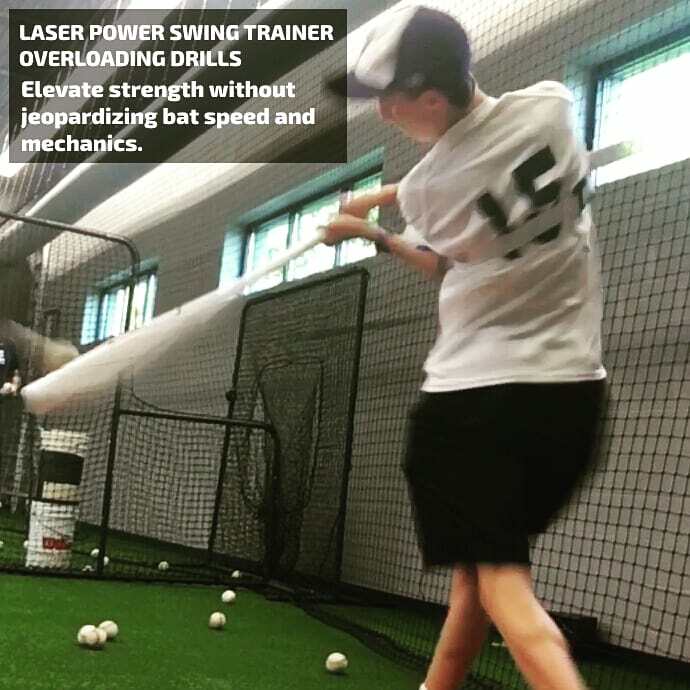 On top of the strength benefits during regular bat drills, overloading using our Laser Power Swing Trainer elevates strength without jeopardizing bat speed and mechanics. 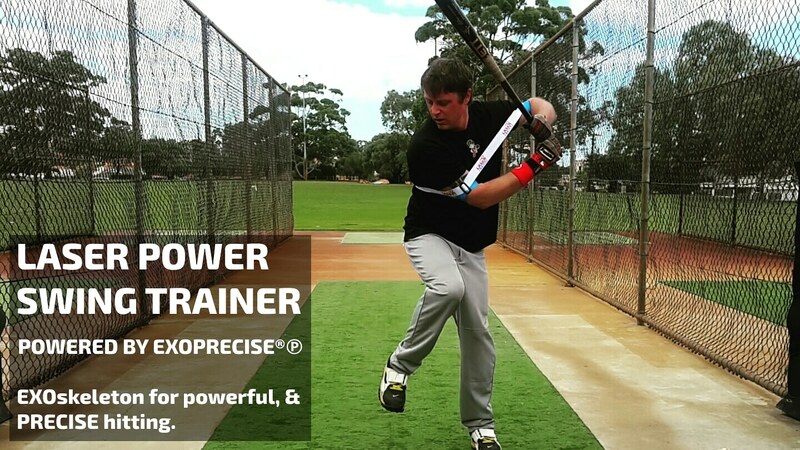 OVERLOAD AND STRENGTH: Strengthen your core, “power hitting” muscles; such as your side abdominal region. 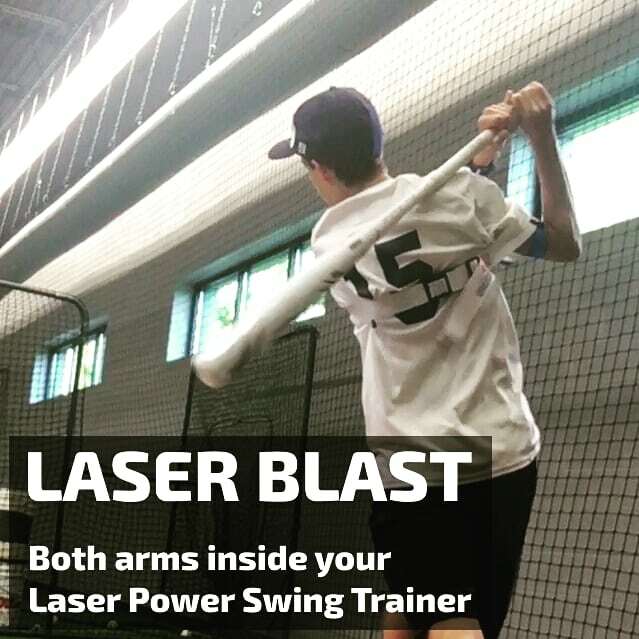 Improve strength in your smaller “power hitting” muscles, top hand forearm, critical for a level barrel; additionally, your acceleration and deceleration shoulder muscles. 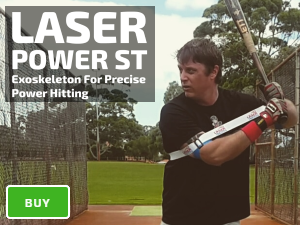 CHALLENGE YOURSELF WITH EXTREME UP-AND-INSIDE PITCH LOCATIONS: Advanced Laser Blast front toss; using a two-handed follow through, short and flat swing path. 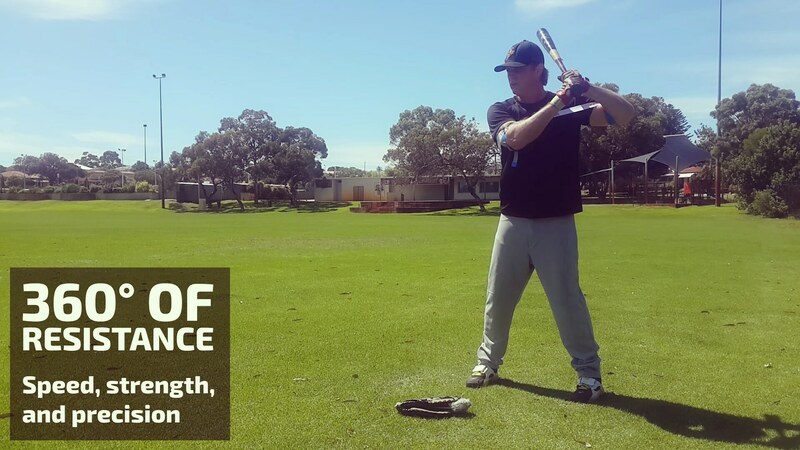 Track the ball deeper into your contact area and hit it up the middle, blasting with your core. Tell your coach to toss up-and-in, in fact; mix in some balls a few inches off the inside edge of home plate, and try to keep it fair. 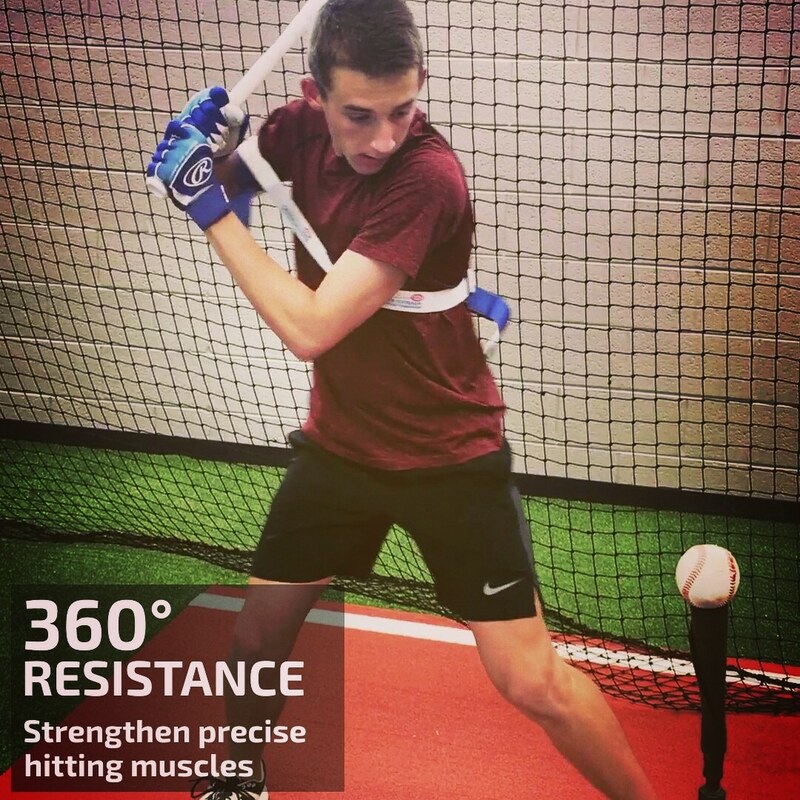 Swinging a heavy bat with your core is the only way you can hit a dominant +95 mph fastball, especially the up-and-inside location. KINETIC CHAIN: If you disconnect too early, your arms hold the weight. 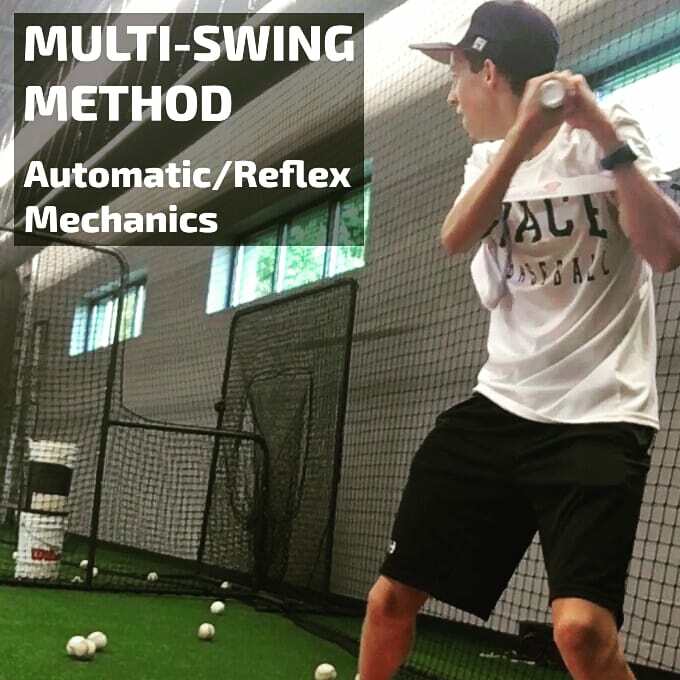 At the extremities of your arms is your weakest point of the Kinetic Chain, your wrists; struggling to keep your barrel level at the point of contact. If you were to hold a 30-pound stone for 20 seconds, this task is a lot easier when you keep the stone close to your body. However, if you were to carry the stone away from your body it becomes heavier and harder to hold; this is because you’re getting away from your center of gravity. 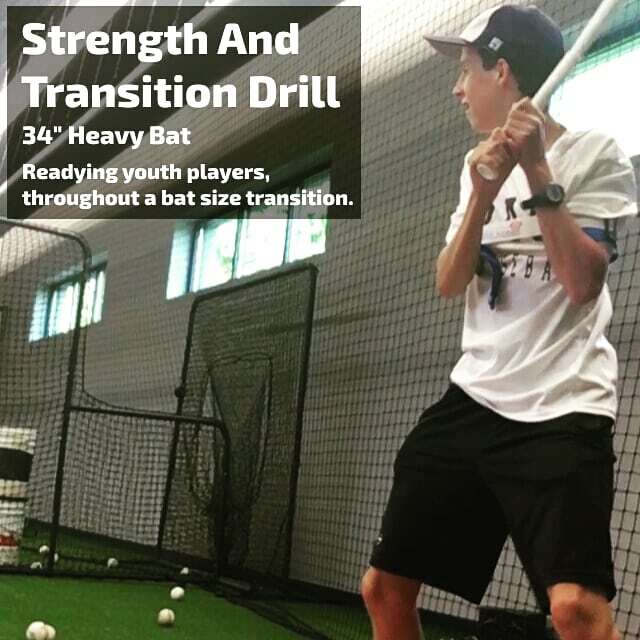 The same goes for heavy bat training, the further your arms move away from your center of gravity, the heavier the weight.